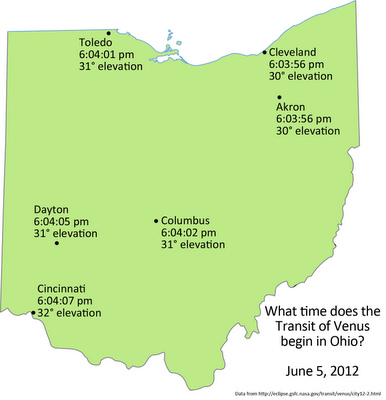 What time does the Transit of Venus begin in Ohio? 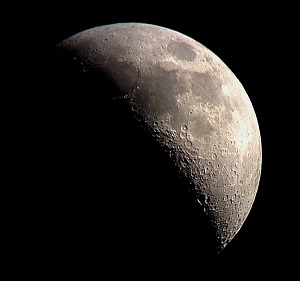 The Transit of Venus will begin at approximately 6:04pm (22:04:00 Universal Time) on the evening of June 5 in Ohio. When I say "begin," I mean the point in time the silhouette of Venus first touches the disc of the sun - this is also called external ingress. It will take about 18 minutes for Venus to cross the edge of the sun, at this point the planet silhouette will appear completely inside the disc of the sun. 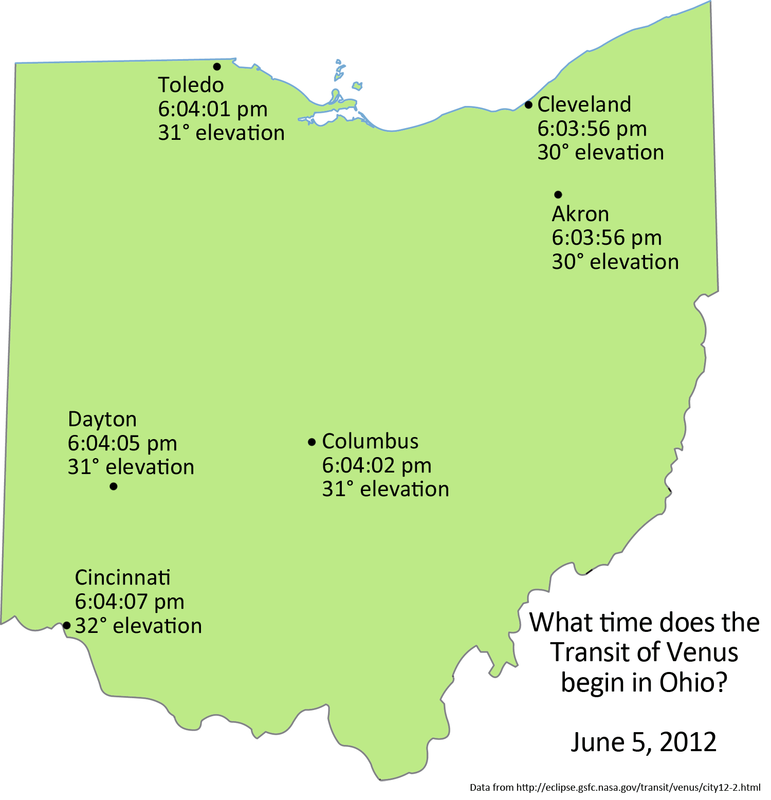 In Ohio, the sun will set before the planet Venus reaches the midpoint of its journey across the face of the sun. 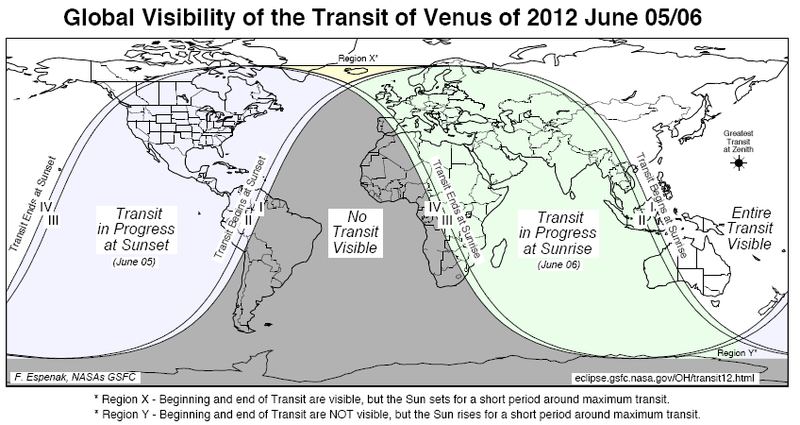 Venus will finish its transit by completely leaving the face of the sun at 12:50am on June 6, obviously well after the sun is out of sight. There is not a lot of difference in times between cities in Ohio. Cities in the east will see the transit begin only seconds before cities closer to the Indiana border. Below is a map that includes the external ingress times for major cities, as calculated by NASA. The transit will not be visible everywhere in the world, so we are lucky to see several hours of the transit before sunset! 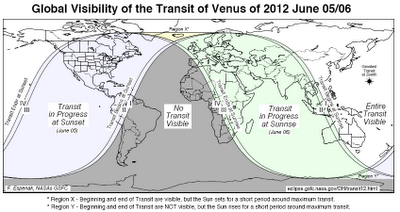 Here is a world map, provided by NASA (PDF), that shows the regions where the transit will be visible.